For as long as I can remember, I’ve had thin and fine hair. Through perms, crimping, and years of unnecessary hair coloring, I have done plenty of damage in my youth. Over the past few years I’ve been in full damage control mode, while obsessing over maintaining healthy, manageable hair with volume. I was in need of a shampoo to give me that extra oomph I had craved. During my quest to find the ultimate voluminous hair routine and trying to avoid getting hair extensions, I sought out various volumizing and thickening shampoos. The key factor in my search involved me being conscientious of shampoo ingredients. With careful research, I had quickly learned that staying away from parabens and sulfates would help my hair detox from years of damage, as well as maintain a healthy scalp. 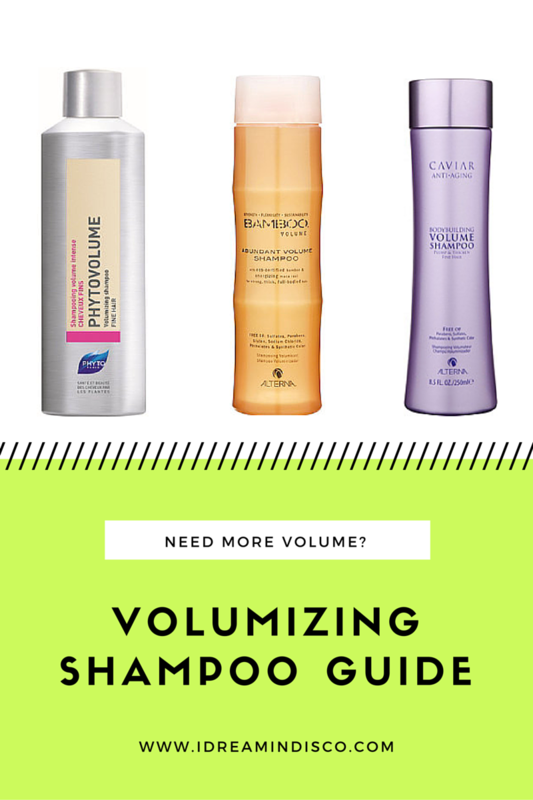 Over the past few years, I have tried all of these volumizing shampoos below and am thrilled to be able to share my thoughts on them with you. Even if you don’t have fine and thin hair like I do, I truly believe that a lot of these shampoos have lasting benefits for all hair types. Here’s a glimpse into my fine hair journey! Alterna has been known for their paraben and sulfate free products, which definitely was why I gravitated to this particular product. On top of that, their bamboo-shaped bottle is pretty darn beautiful. When first trying this product, I noticed that while in the shower, the product itself was a bit tough to squeeze out of the top. It has a twist cap that allows for the product to come out once it’s released. I had been so used to flip-caps on products for many years of shampooing, so this definitely took some getting used to. Aside from that, I definitely believed that the packaging was compact and functional. I absolutely love the way this product smells! It’s a fresh, clean, and organic smell, that’s almost reminscent of a light and floral lotion. The product itself worked well on my hair during the shampooing process. I do remember that the lathering and building of suds wasn’t as prominent as I would have hoped, but from what I’ve read that in the shampooing of hair, that it really doesn’t matter. Once out of the shower and on to my blow-drying process, I noticed that the scent was very strong. This wasn’t necessarily a bad thing, but just something quite observable. Also, I felt that the texture of my hair seemed a bit on the chalky side after I had completely dried my hair. It was almost like after you’ve applied texturizing spray or dry shampoo. Once again, this wasn’t detrimental, but just something that was noticeable in the process. Overall, the volume given to my hair while using this shampoo was definitely up to par with what I had hoped. I did notice that buildup did occur much more quickly with this shampoo than with others, and I had to use sparingly or rotate in other shampoos throughout the week to avoid that any further. I think a solution to this would simply be to purchase a clarifying shampoo to pair with this one and rotate through once or twice a week. I had first given this shampoo a shot when I purchased a travel size for one of my business trips a few years back. I had enjoy it so much during that time, that I wanted to purchase the full-size bottle! Bumble and Bumble is definitely known for their chic and portable packaging, which doesn’t all short with this product. The scent of this shampoo was also refreshing with every use and didn’t overwhelm either. This shampoo, while containing sulfates, did lather very well in the shower and created a very clean feel to hair and scalp after using. I definitely wish it didn’t contain any sulfates, but I also realize that I’d be willing to try something if it potentially worked on my fine hair. 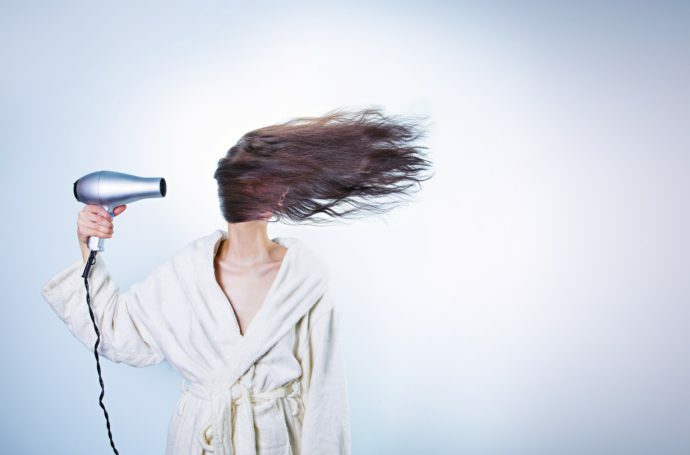 When styling my hair with a blowdry, some brushing, and minor hairspray, I saw a noticeable difference in softness in the texture of my hair, as well as a bouncy boost of volume to my locks. Much to my surprise, I quickly fell in love with this shampoo for the first few uses. However, I realized that my hair was turning incredibly dry, brittle, and lacking the original luster that drew me so close to this product in the first place. My hair became so limp and boring, that I had to completely discontinue it’s use. I noticed that while this shampoo did the trick in creating a softness and volumizing effect on my hair with intermittent use, that I couldn’t use this in a daily or weekly shampooing rotation. I ended up keeping this shampoo and the travel size handy for business trips and vacations for when I needed a boost and something different than what I was using at home. This was when this particular shampoo did it’s job for my hair. I’ll continue to use it sporadically, but not consistently. My first experience with the Alterna Bamboo Shampoo had me a little hesitant to give another one of their shampoos a shot. I’m definitely incredibly happy that I did! The Caviar Anti-Aging Bodybuilding Volume Shampoo is definitely on my list of favorites. I’ve been using this shampoo now for about two and a half years, while mixed with a couple of others, and have truly enjoyed it’s company in the shower. The packaging, like it’s Bamboo alternative, has a sleek and beautiful twist cap, which can be a little difficult to adjust to if product is stuck inside and especially when the product is running low. Aside from that, the packaging is great for narrow shower spaces and is portable! The product does lather very well, but can take a while to build into a nice lather. Sometimes I use a clarifying shampoo before applying this shampoo or another gentle pre-shampoo before applying this one, and when I do that, I find that the lather and experience is amplified. It doesn’t contain sulfates or parabens either, so that’s an incredible bonus for such a good find. The shampoo smells decadent and leaves your hair smelling that much more amazing. In using this shampoo, I have noticed my hair actually getting healthier! Not only with shine and volume, but also with strength. The volumizing effect that comes with this product isn’t miraculous, but I definitely notice that because my hair is healthier due to this shampoo. With that being said, it’s much easier to style my hair with the volume I crave, because of the strength and flexibility my hair is given. I definitely will continue to use this shampoo as it has worked wonders in maintaining healthy hair and volumizing flexibility! I was first recommended this product about a year ago, right after I had given birth to my son. I was going through instances where my hair felt completely lackluster and I had begun shedding more hair in the shower and in my brushes than I ever thought imaginable. Thanks hormones! I honestly had never heard of the brand, so I was immediately hesitant to give it a shot. However, after doing some quick research on my iPhone at the beauty supply shop, because that’s how I roll, I decided that the reviews were stellar enough for me to give it a go. I was at such a sensitive point in my life with a newborn baby, shedding hair, and feeling insecure about not only my hair, but my body. I just wanted to be sure that I wasn’t going to regret trying something completely out of the blue. Little did I know that I had hit the jackpot at the hair casino. I had stumbled upon my first holy grail shampoo! While the packing was fairly standard and nothing to necessarily write home about, the miraculous contents of the package worked like a charm. Upon application, I immediately noticed that it was a product to use sparingly, because a little went a long way. I especially loved that the actual color of the shampoo was like a dark sea blue and was almost liquid like in texture, versus something more heavy and thick. When I mentioned that a little goes a long way, I was referring to the amount of shampoo that needed to be applied in order to create nice distribution all over the scalp, while developing a nice lather. Definitely take note that this shampoo has a wonderful lather and also smells soft, sweet, and fresh. In addition to this, it’s also sulfate and paraben free for those of you in need of something a bit healthier for your hair. When using this product, I have noticed less hairs shedding in my combs and brushes and have been overjoyed to see that any thinning areas of my hair that once started post-pregnancy, are now back to normal. At first, I thought this could also be attributed to my post-pregnancy hormones leveling out, but this still rings true about a year later. The volume that I receive when using this product is unreal. Not only does it make my hair appear fuller, but it also seemingly increases the vibrancy of it’s color, as well as the shine. I have and will continue to use this product as it’s been such a pleasant surprise for me! I think it’s also worth mentioning that this product contains chitin and wheat protein, which could definitely attribute to the vast differences I’ve seen with this product against the others I’ve tried. I had been introduced to Phyto’s product line a few years back and immediately fell in love with it’s packing, as well as it’s case studies for those who noticed fuller hair when using this product. The sleek, silver tin bottle, has had a flip top and a screw top in the times I’ve used it. I have to admit that the functionality of the screw top combined with tin can texture in the shower reminded me of a canteen or even a soda can. Little did I know at the time that this interesting packaging was only an entry into an incredible product! While pouring out the amber colored product into my hand in the shower, I was afraid of pouring out too much or too little. I also was afraid of losing the product, while trying to salvage screwing the lid back on with my other hand. It was something so trivial for me, but different than what I was used to with shampoos in the shower. I quickly got the hang of it and never looked back. This shampoo is fantastic! Despite the odd packaging, the contents are amazing. The shampoo lathers incredibly well, and I have even used it in conjunction with other volumizing shampoos as somewhat of a clarifying shampoo. I had noticed how well it lathers and cleans my scalp, so I figured I would rotate it in as much as possible or use it as my primary shampoo. The smell of this shampoo is borderline medicinal like a Nioxin, but it definitely has a sweeter and softer tone. I definitely love how it makes my scalp feel incredibly clean right after using it. The volume it creates once my hair is styled and dry is fantastic! I love the extra bounce my hair hair and the appearance of thickness it draws in my hair. When I’m using this product, my hair feels healthy and alive! I feel confident that I will continue to use this product alongside of a few of my volumizing favorites for a very long time! Overall, I’ve been impressed by a lot of other Phyto products, so I know that this one’s a keeper. Rahua was definitely a product that I was pitched heavily while in a beauty supply store. Before getting pregnant, I had been looking for something that was as close to being organic and healthy for my damaged hair. While the packaging was absolutely stunning (I’m a sucker for anything gold), I wasn’t sold on the brand or the price. I typically haven’t been picky with price and volumizing shampoo, because it’s definitely always been a product that I’ve splurged on due to the fact that I need all of the help I can get in the hair department. However, I couldn’t get past the seemingly smaller bottle of product that I had never heard of and understand the price that aligned with it. Despite my thoughts, I ended up going for it (the beauty supply ladies have me wrapper around their fingers, seriously). I went with both the shampoo and conditioner for the whole effect and to see if this could be a new regimine that I could love. This fantastic duo turned out to be an incredible marriage of volume and health for my hair for the first few weeks of use. My hair was smelling incredibly good, vibrant, and full of shine. The volume and illusion of thickness was also helpful in my appreciate of this product. However, similar to the Bumble and Bumble Shampoo, I saw that after a few weeks of use, my hair became dull and lifeless. I felt as though it was drying out the more I used it and that the volume I once had was long gone. It was taking more effort to style my hair than before. I definitely understand that this could be because I wasn’t using a clarifying shampoo at the time and possibly a number of other factors like weather, stress, etc., but I realized that this wasn’t the best fit for me. I’ve seen this product everywhere and know that it’s made with quality and organic ingredients, so I’m sure it’s working on some of you! I more than likely won’t be returning to this product, but I enjoyed the experience and the beautiful packaging while it lasted. What about you? How many of these have you tried? 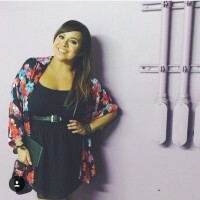 I’d love to get your thoughts on what’s worked for you for volume and what you’d recommend. I’m also always open to suggestions and trying new products, so comment here or email me with any! Cheers and thanks for reading my words! I am desperately trying to find a good way to give my hair volume. Need to try some of these. Definitely check them out! I’d love to hear your thoughts after you give them a shot! 🙂 Good luck!